There are three assumptions here: there is a gender gap in reading, boys need special treatment because of this and separate books could be a solution. But is it true that we need to encourage boys especially to read? And if so, why would separate books necessarily be a positive approach? Mightn’t they exacerbate the problem? I asked teachers, educators and parents for their thoughts and experiences, and took a look at the idea that boys lag far behind girls when it comes to reading. The 2012 report by the Boys Reading Commission, (BRC), compiled by the National Literacy Trust, reports that at age seven, there’s a gender gap of 7 percentage points in the proportion of pupils reaching the expected level in reading, and the numbers rise slightly with age. 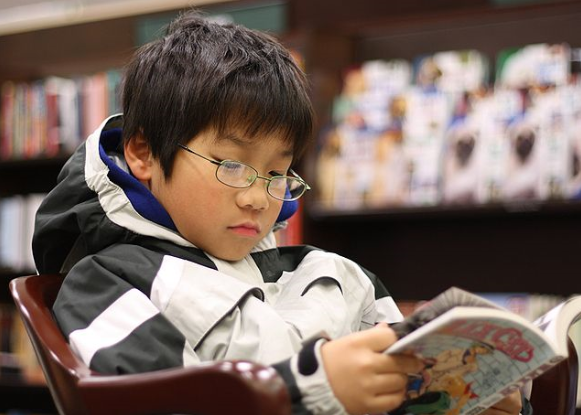 Media reporting and widespread concern means that parents often are led to think it normal for boys to struggle, or be uninterested in reading. When I talked to teachers and educators about the gender literacy gap, several interesting points arose. Secondly, the focus on gender as an issue means that other factors, such as race and class, are ignored. Research has repeatedly shown that social class is the biggest indicator of how well a child does in school. Jennifer Dyer, Diversity Programme Leader at the Institute of Physics, pointed out that the National Literacy Trust research didn’t control for class and that the gap between social classes in reading is far wider than that between genders; “There clearly is a myth about boys and reading as so many people seem to think that the gender gap in reading is bigger than it is, but research shows that the number one factor that determines your reading ability is how often your parents read out loud to you and the number of books in your house, which is connected with social class”. There’s also research to suggest that reluctant boy readers have a higher profile than reluctant girl readers. According to award-winning publisher Barrington Stoke, many girls do little or no reading and just as many girls as boys are dyslexic, but girls often present for assessment later. They suggest this could be because girls learn to be adept at hiding issues from school and family and are less likely than boys to ‘act up’ when they have trouble with schoolwork. On a positive note, the latest National Literacy Trust research suggests that children’s reading enjoyment has reached its highest level for several years and that the gap between boys and girls has recently decreased. It’s clearly nonsense to suggest that males are somehow inevitably destined to struggle with reading and writing; a quick glance at any English literature syllabus, or literary prize shortlist makes this clear. And some schools don’t report a gap in literacy between boys and girls. So why do some boys struggle? Does the expectation that boys are active, sporty, dirty and tough mean some boys see reading as something for girls or ‘nerds’? 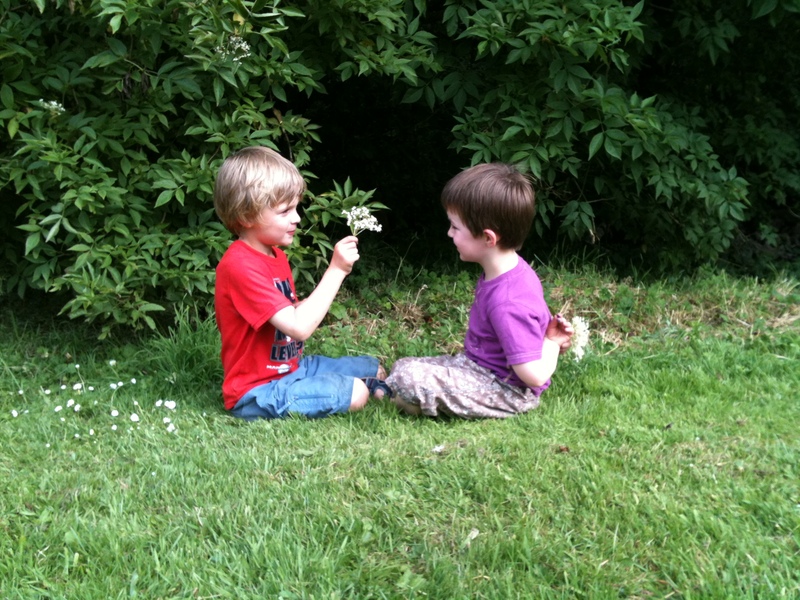 Do commonplace assumptions about ‘boys will be boys’ drive a culture of low expectations, where parents are less likely to encourage them to read, or spend time doing reading and writing activities with them? The BRC report found that one of the things boys’ underachievement in reading is associated with is: “Male gender identities which do not value learning and reading as a mark of success”. Research showed that 18% of boys and 12% of girls think that reading is more for girls than boys, while 19% of boys said they would be embarrassed if their friends saw them reading. Research has shown that from a very young age, children think boys are academically inferior to girls, that they believe adults think so too, and that those beliefs hinder boys’ school achievement. The BRC said that although there was no evidence for a biological basis for differences in academic skills between boys and girls, there was a perception that this might be the case, and that this expectation, expressed through ideas such as boys can’t sit still, girls are more mature etc, could affect how children behave in the classroom. The report also said that parents are more likely to read to girls and take them to the library. So it seems that if we believe boys are less likely to enjoy reading, to read and write well, we are quite possibly helping to make it true. 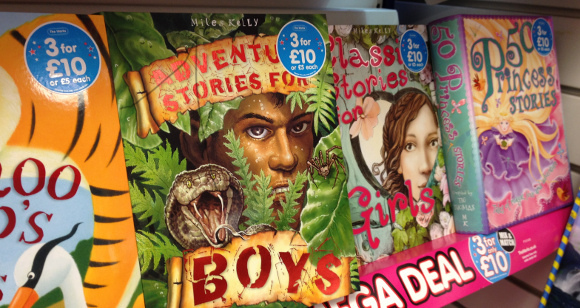 What’s wrong with ‘boy friendly’ books? When books are promoted by gender, they usually reflect stereotypical ideas of what it means to be a boy or a girl. Katy Guest in the Independent on Sunday may not have been entirely serious when she referred to the, “pink, frilly Girls’ Books of Shutting Up and Baking Cupcakes or butch, blue Boys’ Books of Fighting and Eating Your Snot”, but she wasn’t far off the mark. 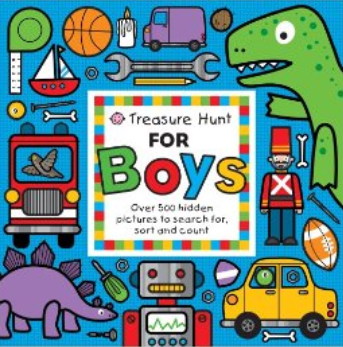 Would adding the words ‘For Boys’ to the front of a book really make a boy who’s interested in, say, robots, be any more likely to pick it up than if it said ‘for Roboteers’? Targeting by interest is surely a more logical approach that excludes no-one and also encourages children of different genders to appreciate shared interests, (so please spare us a separate ‘Pink Sparkly Robots for Girls’). 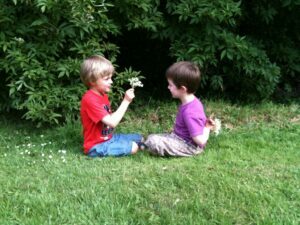 Consider the parallel with toys – if we were having problems getting boys to play, would the best approach be to offer a limited choice under a ‘Boys’ sign in the hopes that they’d play with the kind of toys we assume they’d like? Or would it be to offer them a wide and varied choice and let them pick out whatever appealed to them the most? Educational consultant Mark Jennett, who worked on the NUT’s Breaking the Mould project, says there is little evidence that so called ‘boy friendly’ books have any impact on the number of boys reading, and there is nothing to suggest books that don’t endorse gender stereotypes would be discouraging to boys, in fact they may have the opposite effect. “While boys may be put off by material presented as explicitly ‘for girls’, they are easily engaged by stories with female or non-traditional male protagonists, as long as they are well told.” says Jennett. In other words good books do not need to be gendered. If, as the BRC says, we need to “encourage positive gender identities that value reading” for boys, then it looks like the ‘butch, blue Boys’ Books of Fighting and Eating Your Snot’ is out. Teacher Corinne Finnan remembers author Tanya Landman “having the boys mesmerised” when she came into school and talked about her novel ‘The Goldsmith’s Daughter’. “The main protagonist was a strong female character who wanted to follow in her father’s craft even though it was ‘not a job for a girl’. 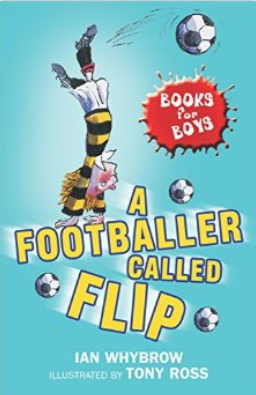 The lads all queued to buy the book first”, says Finnan, whose anecdote clearly illustrates another of the problems with segregating books by gender: the assumption that boys will only read books about boys written by men, means they could miss out on books they would love. There is nothing to suggest that slapping the words ‘for boys’ on a book will have a positive effect on boys reading habits. On the contrary, books with ‘boys’ or ‘girls’ on the front encourage stereotypes that contribute to acceptance of the idea that reading isn’t a boy activity. Reminder: when we say “Books for boys,” we set a default as books and reading are girl activities. We reinforce social expectations. When we focus on gender and on how boys need special treatment, it simply reinforces to boys the idea that they are not as good as girls at reading. It also clouds the issue, many children are disadvantaged when it comes to reading, and gender is not the biggest indicator of reading ability. Of course we should encourage reluctant readers; reluctant readers of every gender, race, ability and class. What we don’t need to do is tell children which books they are ‘supposed’ to read. We certainly don’t need to feed boys stereotypes that may discourage them from reading. Let them make their own choice. The only people who profit from gendered books are irresponsible publishers and retailers. Sign the Let Books Be Books petition here to tell publishers you don’t want to see books categorized by gender. This article by Children’s Laureate Michael Morpurgo has some great suggestions of how to support children’s reading – not one of them is specific to boys. We need to move away from the idea of perception by boys reading is not cool and also the idea that we need to have more exciting books, of course, exciting books is good. We need focus much much more on how our average stress and acquired social vocabulary, greatly affect thinking, learning, and reading/writing motivation. 1. First we need to redefine our average stress “more correctly as many layers of mental work our minds are working on from past, present, future, experiences, problems, worries, fears, preparations for defense, anything our minds may see as unfinished mental work, even at rest. Each layer of average stress our minds are working on, take away real mental energy. This then shows just how our individual environments and “differential treatment, greatly affect reading and motivation to read. An added problem, especially for boys is that the combined higher average stress and usually too much admonition to try hard usually funnels more energy from the higher average stress and admonitions, so boys end up trying too hard at first and not allowing their pace and intensity to increase more naturally. Think, – even for us adults, when our minds are preoccupied with others problems, we are not inclined to sit down and read even a good book. 2. We need to understand we need a higher social vocabulary and more positive, consistent communication with others peers/adults in developing a higher social vocabulary. Now, the problem for boys is not peer pressure or necessarily interest but very real, differential treatment that begins as early as one year of age. The belief boys should be strong allows much more aggressive treatment from infancy and increased through adulthood by parents, teachers and peers. Boys are also not given kind, stable, *verbal interaction for fear of coddling. This creates three bad things for reading. It creates higher average layers or higher average stress and much more fear and social/emotional/communication distance from parents, teachers and peers. This creates lower social vocabulary and far less experience, modeling, and use of sentence structure. Reading is an abstract skill requiring more mental energy to decode, visualize, organize, reflect from past knowledge/experiences, to reach back into to discover new words in print using our social vocabulary, and enjoy the process. We are forced to work harder if we have higher average stress, lower social vocabulary, and inexperience with sentence structure. Oh, activity is not a genetic trait of boys but a condition whereby their higher average stress seeks out more immediate relief using activity. As girls, we enjoy much more kind, caring verbal interaction and other mental/emotional/social/verbal supports from infancy onward. We are given love and honor simply for being girls. We enjoy lower average stress, higher social vocabulary, and much more experience with communication using a large array of sentence structures with parents, teachers, and peers. We are not pressured or ridiculed when not doing as well. In lower socioeconomic environments, our protection and care continues while the boys receive much more aggressive treatment and more set in place priorities of the physical world from the learned helplessness of Males in school. Sorry guys, this part should read “perfect recipe for much “less motivation” to learn and enjoy reading. For boys with higher average stress, lower social vocabulary, much less experience with sentence structure, and higher average stress with admonitions of more intense pace, we have the perfect recipe for much motivation to learn and enjoy reading. but the protagonists in the “boy books” are seldom bookish, intellectual, or emotional; they tend to be sporty, adventurous, risk-taking, and, of cpourse, male, therefore again promoting a stereotypical, physical boy who rarely reads and as difficulties to relate to characters in books (empathy isn’t even encouraged so far as to empathize with female protagonists). furthermore, by labelling books as boy books, boys only get half the range of books to choose from and girls never get to read them. i don’t see a progressive advantage anywhere. if a boy is interested in, let’s say, football, he will like the book as a “football book” just as much as as a “boy book”. I agree with teacher from Berlin. The motivation is the adventure or other, not the full range of reading. Boys need the same ease of reading; the same social vocabulary; the same experience (from good positive communication from parents/others) with words, sentence structure, and other communication nuances. There are no short cuts. We need to actually provide the same kind, caring, verbal interaction, and other more stable support to produce the same lower average stress, higher social vocabulary, more experience with positive, more lengthy sentences, not the very short, hard, commanding words usually used for young boys. Again, our average stress, tension, fear, that creates higher average stress “is maintained” as unresolved mental work or average stress long after those many past and present, aggressive events occur. This is what makes boys tough: the accumulation of those fears, anxieties, preparations for defense, etc. that build and maintain much higher average stress. It is this along with the higher muscle tension, more activity from stress relief, lower social vocabulary and much less experience with sentence structure that is hurting boys’ reading motivation which requires more mental energy being taken up by the higher average stress and more new work from lack of social vocabulary and less experience with sentence structure. – Also, for writing, we need lower muscle tension to have proper pressure/grip on pencil/pen to write better and enjoy writing along with high social vocabulary/experience and low average stress to have more mental energy for visualizing, reflection time (think time), organizing, and enjoying the process. exactly! even on clothes for very young boys, there are negative images of either nasty monsters, dangerous or scary animals, sentences about sports that urge boys to high achievement concerning their body or winning over others, or machines that destroy the environment – the two topics for young boys are either destruction or competition. i raised my boy without all that, he got more relaxing clothes and toys and books about cute animals, plants, nature, friendship. it’s shocking that shirts saying “best friends” or “happiness” are promoted as only for girls. my son taught himself to read at the age of 3 and up to now (he is 15) prefers books about human relationships or political issues and loathes heroic displays of violence in books or games. nothing against adventure books, but it isn’t innate in every boy to become a sensation seeker and look for danger and, therefore, trouble. alas, the world is ruled by girls or very young women and mature men (as seen in adverts), boys and mature women are regarded as deficient. girls have a quite cheerful life full of choices (if they are pretty, that is!) up to the point of becoming older and little boys, especially the not-so-physically oriented ones with less muscle tension, have a rough time, they have to swallow so much fear, until they become men and more gentle lifestyles are “allowed” for them (men are regarded as more intellectual and, therefore, as reading). as young girls and boys look alike, boys are pushed into displaying manliness as otherwise they might get mixed up with females who are regarded inferior. teachers could do so much, but most of them prefer the path of least resistance, as well as parents do. and there is a lot of resistance when you try to raise a boy as a peaceful human being. I wish I could be comforted in the thought it is just the clothes, toys, or other. I feel it is created from much more aggressive treatment from one year of age onward. In more middle class environments, there is more knowledge, stability, and skills provided. However, there remains more aggressive treatment to make them tough from infancy through adulthood, so they are also falling behind their middle class female peers. the lower the socioeconomic bracket and more time in those brackets, the much more aggressive and accepted is that treatment from infancy through adulthood. Muscle tension is created by higher average stress. The more aggressive treatment from infancy through adulthood for boys creates more mental fears, anxieties, preparations for defense, other things that raise more highly their average stress. While this hurts thinking, learning, reflection, motivation to learn from “being taxed by those much higher layers, it “also creates higher muscle tension that creates less agile fingers and wrists and adds more pressure and a tighter grip to the pencil/pen, thus hurting handwriting/motivation to write. Even in adulthood, while there are fewer fears due to some coping measures, there remains either avoidance or much less knowledge and experience in academic skills. Yes, the parents are but one or two of many others: teachers, peers, media, society that creates more aggressive treatment, expectancies, and much poor modeling. In most families, and from all of society in general, boys are given love and honor only on condition of some achievement, status, image, etc. Boys not achieving are then given more ridicule and discipline by parents, teachers, and peers to make them try harder and also as a modeled, allowed treatment for boys who appear weak in some area. This was and still is designed to make, boys tough and keep their esteem and feelings of self-worth very low, so they would continue to try hard and even give their lives for defense for ounces of love and honor from others. Mind you, another vital mental tool is corrupted from this more aggressive treatment. The dynamics of approaching mental work is corrupted. With us as girls, we enjoy lower average stress and so our pace and intensity in approaching newer mental work is more slow and reflective at first. We then gain knowledge, experience, “and enjoyment” from learning that work. This then enables more pace, intensity over time and still remain and enjoyable work such as reading and writing skills necessary to learn all in the world. For boys, the higher average stress and “more aggressive treatment to try very hard cuts their reflection time and terribly distorts their dynamics of pace and intensity in approaching new mental work, so they try too hard. This then intensifies their already higher average stress exponentially, thus making it even harder to learn new mental work. Many Males thus falling behind in academics then turn their attention toward video games and sports to receive small measures of love/honor not received in the classroom. The belief boys should be strong and the false belief in genetics that denies any connection with differential treatment and lower academics, lower esteem, and other problems over-rides all good sense when it comes to raising boys today. I feel there is an almost emotional cannibalism allowed upon Males, even young Males who appear weak, all to make them tough. This is an interesting read and makes a lot of good points as well as providing food for thought. But this: “When we focus on gender and on how boys need special treatment, it simply reinforces to boys the idea that they are not as good as girls at reading.” made me think more widely. Could the same be said about all the special treatment being applied for getting girls into STEM subjects? It just reinforces the idea that STEM *isn’t* for girls? A worrying thought. Thanks for your comment. I did think about this when I wrote it. I think it’s a question of approach. We do need to get more girls into STEM, but we need to remember that the way we do it matters. Let Toys Be Toys have questioned the efficacy of science toys targeted at girls, because we think there’s no reason to package science up in a separate, girl-specific box. It’s fine to create female scientist dolls for example, but why target them just at girls? 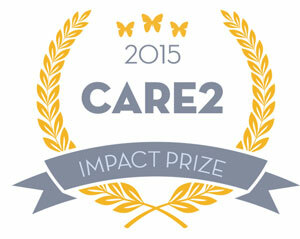 The organisation ScienceGrrrl do great work in this area. They sprung up in response to an ad campaign, ‘Science: It’s Girl Thing’, which, while well intentioned, also reinforced gender stereotypes.